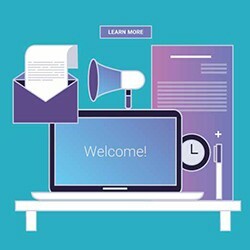 This premium nonprofit webinar will show you, step-by-step, how to plan and publish a nonprofit newsletter email that engages more supporters, drives more actions and retains more donors. The vast majority of small to medium-sized nonprofits aren’t taking advantage of the power of a properly designed nonprofit landing page. In this nonprofit webinar, you'll learn from Simon Choy about how to maximize your nonprofits landing page impact. We will show you how to drastically improve your donor retention with a simple Donor Welcome System that delights new donors, inspires them, and increases their loyalty to your cause. This webinar recording will show you, step-by-step, how to breathe new life into your email list, and raise more money with email.